The Millennium Project (MP) is integrating all of its information, groups, and software into a “Global Futures Intelligence System” (GFIS). GFIS is The Millennium Project’s new way for you to participate with and have access to all of our resources in one place. Those who buy a one-year subscription can interact with all the elements of the system, make suggestions, comment on any piece of information, see continually updated information on 15 Global Challenges, initiate discussions with experts around the world, search through over 10,000 pages of futures research and 1,300 pages of methods. The text has built-in Google translation with 52 languages an Real-Time Delphi software. Instead of publishing the State of the Future once a year, the material is being updated in the Global Futures Intelligence System on a continual basis – the same is true with Futures Research Methodology – you do not have to wait five or so years to get a new version. Some Real-Time Delphi studies and other research are also being made available as soon as they are completed, and will be accessible for discussion of conclusions. 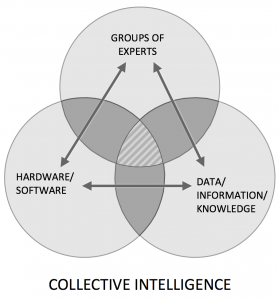 The GFIS is not just new software, vast information, and global experts; it is also a system to produce synergies among these three elements for greater intelligence than their separate values. It is rather a global intelligence utility from which governments, UN agencies, businesses, NGOs, universities, media, and consultants can draw different values. The GFIS staff is more interested in synergistic intelligence than competitive intelligence, and how the world can work for all, not just for a single nation, ideology, or issue. It can provide decision makers, advisors, and educators with insights that reflect the consensus and/or range of views on the important issues of our time. The engagement of the user with our information, participants, and software is intended to help humanity become more proactive. The breadth and depth of the information available on GFIS is acknowledged around the world for its value for understanding what is important to know about global change. GFIS can help save time by being one source to both search across the total of MP systems and pose questions to expert groups. Situation Chart – briefing on the current situation, desired situation (and range of views where agreement is not clear), and policies to address the challenge. Overview – the text from the State of the Future, with a ~two-page executive summary and longer (100+ pages) explanation of the situation and prospects, strategies, regional considerations, range of views, and indicators for that challenge. Updates – this lists recent edits, updates, and improvements to the text, who did them and when. News – RSS feeds from the best news sources we can find for the challenge. Scanning – important information items to address the challenge that do not disappear over time as do the news items; staff and expert reviewers bring these into the system from news feeds, websites, and their own sources. Scanning items are also annotated as their meaning can change over time, and they can also be deletes as more relevant items are found. Digests – Just the latest scanning items, edits, and news. Real-Time Delphi – questions can be added for rating and comments. As patterns become clear – consensus or multi-modal – they can be added to the situation chart or text of the challenge. New questions can be added anytime from the discussion section or by the leaders of the challenge. Discussion – this section is similar to a blog or a listserv, allowing for the creation of specific conversations, and the ability to subscribe to some discussions and not others – allowing the user to get a daily or weekly digest of the specific selected discussions. Resources – best websites, books, and videos about the challenge, plus some related papers. All of this can be computer-searched. Even the scans and news feeds can be organized by key word to suit your preferences. Coaching to create special State of the Future Indexes for issues, industry sectors, etc. Access to special studies on the future of S&T, energy, education, economics, environmental security, Latin America, arts/media/entertainment, global water issues, changing gender stereotypes, business organizations, and others. The GFIS dramatically increases participation in its improvement and applications. It offers easy ways to ask questions and get feedback from globally diverse experts, thought leaders on global affairs, policy advisors for governments, strategic planners for major corporations, and university professors who teach courses about the global strategic landscape or one or more of the Global Challenges. that continually learns from feedback to produce (nearly) just in time knowledge for better decisions than these elements acting alone.